﻿ EFD in Ungarn - ESK mit Kindern und Jugendlichhen in Ungarn - Fekete Sereg - Job in Ungarn - Internationale Jugendgemeinschaftsdienste LV Berlin e.V. Du hast Lust dich in einem sozialen Projekt in Ungarn zu engagieren? 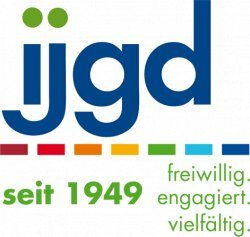 Dann bewirb dich jetzt mit dem Bewerbungsborgen per Email und per Post für einen Europäischen Solidaritätskorps bei ijgd Berlin! Unser Partner in Ungarn, Fekete Sereg Ifjusagi Egyesulet, bietet Plätze in Schulen und in einem Jugendzentrum. Schwerpunkt ist auch die Medienarbeit und die Entwicklung neuer Aktivitäten und kulturellen Veranstaltungen. The Fekete Sereg Youth Association was founded in 1997 and is mainly composed by young aged between 13 and 30, living in Nagyvázsony and in the Vázsony-valley in Hungary. The association’s duty is to represent the interest of the young living in the village at regional, national and international level. Our village is situated in the rural area. The target groups of our association are diverse: students, unemployed ones, minorities (roma), disadvantaged and handicapped people etc. Our mission is to give the youth of the village possibilities to spend their free time by doing useful activities, to support bottom-up initiatives of the young living in the village. Our aim is also to give the same possibilities to our youngsters as others have in the European Union. We collaborate with municipalities, foundations, other regional, national and international organisations, experts and other people supporting youth. 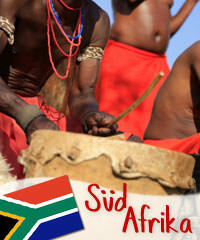 We usually organize local, regional, national, international events, trainings, youth exchanges, study visits, seminars. Fekete Sereg is an accredited hosting, sending and coordinating association. Fekete Sereg Youth Association has 2 employed youth worker. Our youth workers tasks are divided according to their abilities and the needs of our target group. Sprachkenntnisse werden nicht vorausgesetzt. Die Projektdauer beträgt 12Monate. -> Internationale Jugendgemeinschaftsdienste LV Berlin e.V.